Looking for alternatives to IBM Connections? Tons of people want Employee Intranet software to help with user, role, and access management, search, and task management. What's difficult is finding out whether or not the software you choose is right for you. We have compiled a list of Employee Intranet software that reviewers voted best overall compared to IBM Connections. Based on reviewer data you can see how IBM Connections stacks up to the competition, check reviews from current & previous users, and find the best fit for your business. "Great tool for communication between departments. : Yammer is a tool that allows us to have a better communication between different departments within our company, this tool is something really innovative, it is a way for people within the company to work in a team in a different way, their style It is very similar to working with a social network, but made for companies, the communication between people becomes closer, and the commitment of each one becomes greater, knowing that others can see their experiences, comment and compare their activities in The company, also works for all types of notices, and to give a faster information to all employees, this creates a very stable work environment." Jostle’s intranet software connects employees to each other, their leadership and their company culture. Gorgeous usability makes it the go-to place for information and collaboration – in the office or in the field. Jostle’s secure, cloud-based intranet can be up and running in a week. It’s turnkey and requires no IT resources to launch or maintain. "Easy to use no matter what your comfort of technology is: There are two things that really stand out. First, the design and navigation is simple and easy to use so matter what your comfort with technology is, it's intuitive. Second, than half our work staff isn't at a computer on a regular basis so having an easy to use app has been a great way for our employees to stay connected." Communifire combines the best features of social networking, collaboration, and community software into a single, integrated platform that powers social intranets and customer communities. With Communifire, you can work with everyone -- inside your business with your co-workers and employees and outside your business with your customers and partners. "Communifire is helping our worldwide team stay connected and work together. : Communifire allows team members to create and control their own space - a place to talk, post resources and develop ideas. It has many different tools to do this, allowing different styles to find one that works best for them." "Very good platform to communicate with people worldwide: It has a good privacy and is an alternative to the most common social networks. It offers a good opportunity to integrate user communities worldwide. Privacy is guaranteed and is highly intuitive." ThoughtFarmer combines traditional intranets with social features to make the social intranet: an easy yet powerful platform for employee communication and collaboration. "Beautiful, functional intranet: Clean, straightforward user interface, making it easy to build and maintain your intranet - and people like looking at it! Other intranet providers I found while shopping didn't have the same balance of user-friendliness and functionality (lots of tools like Formflow and integration with Google Drive) to get the most out of your intranet. I also enjoyed the prompt, friendly customer support from the ThoughtFarmer team. TF's website is also packed with guidance for your intranet from the shopping phase, to how to successfully launch it, to day-to-day maintenance! It shows they really know their stuff and really care about the long-term success of your intranet." Igloo is a provider of digital workplace solutions, helping companies build inspiring digital destinations. "Excellent intranet software! Team updates and collaboration are crucial! : Igloo software is very easy to use since initial configuration untill daily use. You can configure your initial intranet in a few seconds just filling some fields with your information. After that you just need to add members, groups and customize your environment and your profile. All main features to build private social network and improve team collaboration and communication are available. You can share files, schedule meetings, create forums and control tasks with your team. The navigation through these sections is very intuitive with a clean interface. Another interesting features is that you can customize your theme. Is possible to change CSS code, logo, colors, header, footer, etc. There is a free version with all functionalities limited to 10 users for evaluation and pilot projects." 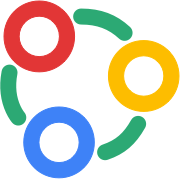 Zoho Connect is a team collaboration app, that unifies people, resources, and the apps they need. Users can share ideas, hold real-time discussions, contact anyone in the network, create their own apps, build their knowledge base, manage their work plans, and also access apps designed to make team work easy and quick. "Excellent tool for non-profit groups: I have a non-profit study group that has members all around the world, and Zoho Connect is the perfect place for us to "connect." It is easy to use, has a familiar social media structure, and provides so much more than a Facebook "group" page (and with no fears of advertisers snooping in). Connect is a "full package" provider that accomplishes social media, file sharing, task management, calendar, etc." OnSemble is an employee collaboration and engagement platform designed to allow users to build an employee intranet portal without any programming. "Onsemble has simplified and modernized our Employee Intranet! : How easy it us to build professional-looking pages. Onsemble has given us the tools that not only make our pages visually appealing, but the build-in modules provide an additional level of functionality to streamline processes and work more efficiently." Twine is a modern intranet that connects people, content and ideas together. "Awesome tool for connecting our team: Twine is really easy to get on with – the interface is simple and the functionality not overcomplicated. It strikes a balance between keeping things simple, but also packing enough of a punch in terms of features. The Twine team have done a great job supporting us too – they're always on hand for any problems and feedback." 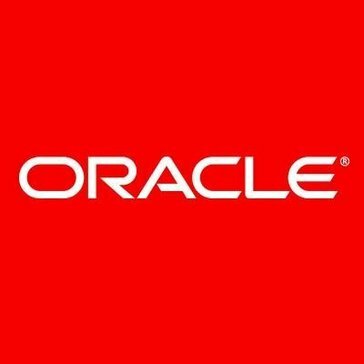 "Oracle Beehive - Helping you get organised: I like the different integrated modules in Oracle Beehive. The workspaces, conferencing, email events, and wiki pages are all very useful and essential to us. As is the integration with Microsoft Outlook which allows us to update meetings and events and launch conferences. I end up using each of the modules almost every single day, and the workspace makes it very easy to organize different projects. " "An amazing Vendor experience: We are in the middle of our intranet installation project, but so far, Bonzai is above and beyond any other vendor I've worked with. The planning, detail, help, and responsiveness from our project team at Bonzai has been nothing short of amazing. Plus, the product rocks! We are so excited to introduce this product to our organization." MangoApps is a collaboration network that combines Employee Social Networking, Team Collaboration tools & Intranet into one seamless product. "MangoApps an easy to use Intranet Software: - private message feature allows for seamless communication + Using the desktop app you have live chat functionality. - Easily able to share resources and updates - The admin features are powerful and granular, meaning you can control almost every aspect of your site, including visibility, access, branding, configuration and more." 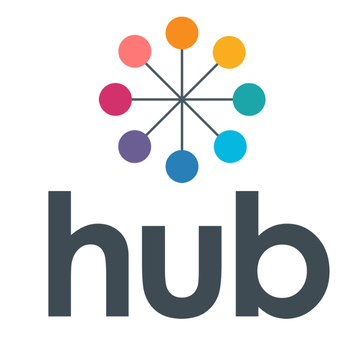 The Hub is a social intranet, secure portal and collaboration platform designed for teams, businesses and communities of all shapes and sizes. "Great look and easy to use : I like being able to see updates from my coworkers in real time! Also I loved the easy set up. " "Great for communicating information: I think my favorite feature is the cloud based system which you can connect to your organization's network. It is also easy to build customizable pages using the drag and drop feature. I think that although this is easier for IT oriented people to use, the customer support is always there to help out those who do not have experience with this, which is also a great thing. It is also easy to maintain your intranet through this. " "Super satisfied: HyperOffice is sturdy and dependable, and lets me manage multiple aspects of my work - information sharing, coordinating everyone's schedules, setting up tasks, even email and messaging. " Akumina is the modern intranet platform that empowers global enterprises to quickly create personalized digital experiences that help every employee in every role work smarter, not harder. "There's no better partner than Akumina for building an effective Digital Workplace: In 2017, Otterbein University worked with Akumina to rapidly design, setup and construct a modern, responsive cloud-base campus-wide intranet for all our constituents. Time previously spent by admins trying to troubleshoot our earlier intranet CMS and SharePoint site collection efforts was now being spent fine-tuning the our world-class campus portal. " 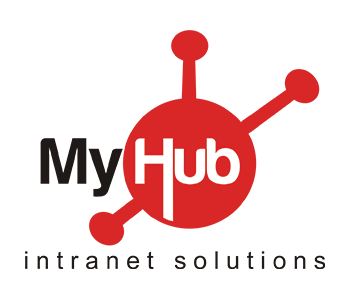 MyHub is a cloud-based intranet solution that provides businesses with a range of business tools with secure, customizable intranet site to configure, managed, requires no IT experience and works on mobile devices, for a low monthly subscription fee. "MyHub - great software for work: I like that it is very easy to navigate, you can access you pay stubs, time care, PTO balance, benefits information.. basically anything form an HR perspective... it's all right at your fingertips. I also like that it has learning portals available so that you can self-teach. " Happeo is a leading all-in-one digital workplace platform that empowers internal communicators to connect with employees in entirely new ways. The platform brings together intranet, collaboration and social networking into one unified solution. "One Of The Best Social & Collaborative Intranet Tools That I have worked with: All the features that Happeo offers are great to have, for example, channels to communicate and collaborate around projects, teams or topics, intranet pages with smart widgets that can be managed by the departments themselves, people where we can find contact data and who reports to whom, as well as the handy search function searching across email, drive and other tools used at the workplace. Also, its easy integration with other apps like Google G Suite and Slack is a real help. It also has apps across all devices/platforms like iOS and mobile apps. " "Next level member engagement / communication tool! : I'm really impressed with GroupFire so far. It's a really slick platform for both internal communications and external member engagement, allowing organizations to message members on any channel (email, text, push notification, social media, etc.) from one central place. My favorite features is the ability to create group messages to ignite hyper personalized conversations, rather than just one to many mass-mailers." 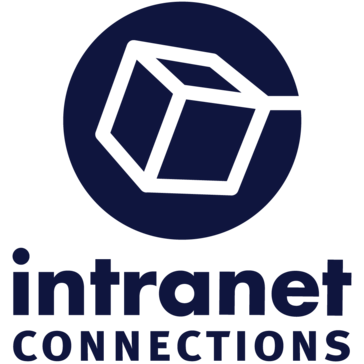 Intranet Connections provides social Employee Engagement tools to help drive a team-orientated workplace where managers provide mentorship to employees. "Great intranet solution and top notch customer support! : Provides us all solutions for our intranet needs - forms, announcements, directory, etc. Easy to use for users and to manage by IT admins. On top of that their customer support is very helpful. They can be reached easily and assist you in your needs." Hi there! Would you like help finding solutions similar to IBM Connections?